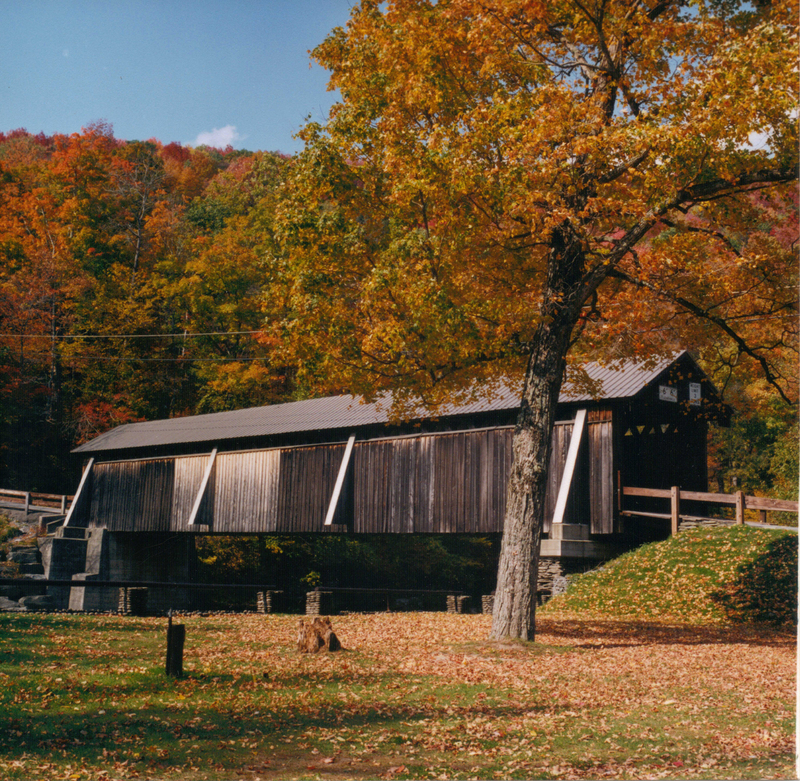 The Beaverkill Covered Bridge was an early step in bringing civilization to a remote area that had remained mostly unsettled well into the 19th century. Only loggers, hunters and trappers ventured into the remote valley of the Beaverkill above its confluence with Willowemoc Creek via an 1815 road. 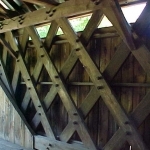 A tannery was established near the bridge site in 1832, processing the bark of the abundant Eastern Hemlock trees in the region into tanning for the leather industry. The small hamlet of Beaverkill grew up around it, and several other tanneries followed. 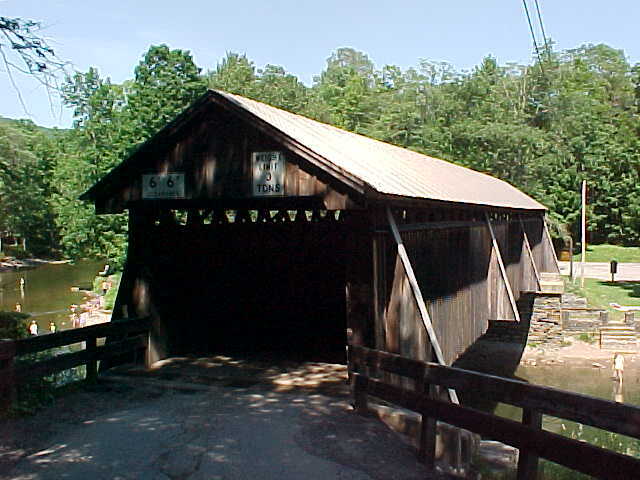 In 1948, the town proposed to replace the Beaverkill Covered Bridge with a more modern metal bridge. It abandoned the plan in response to preservation efforts by local citizens. Instead of demolishing it, the town board spent $700 ($6,000 in contemporary dollars) to restore it, although it is not known what work was done. 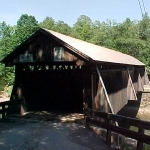 As part of the preservation, ownership of the bridge was transferred to the county. Over the next several decades, the county made repairs and replacements as needed, including facing the abutments in concrete, the only significant change in the bridges appearance since is construction. 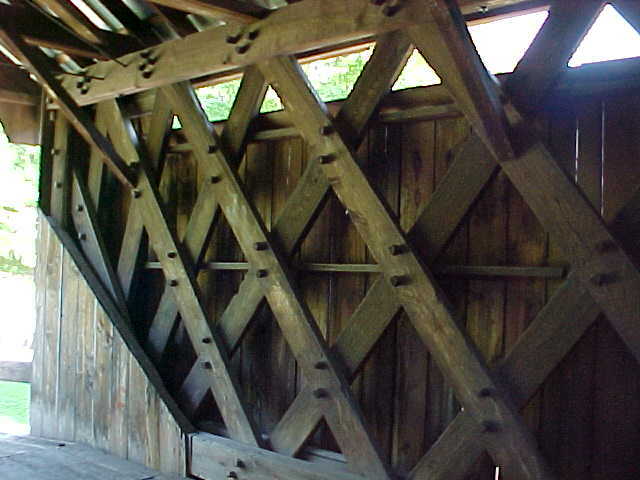 In the late 1990s, the bridge was surveyed and inventoried for the Historic American Engineering Record. At the time, the county opposed listing it on the National Register of Historic Places since its Department of Public Works felt this could hamper their efforts to assure its safety. 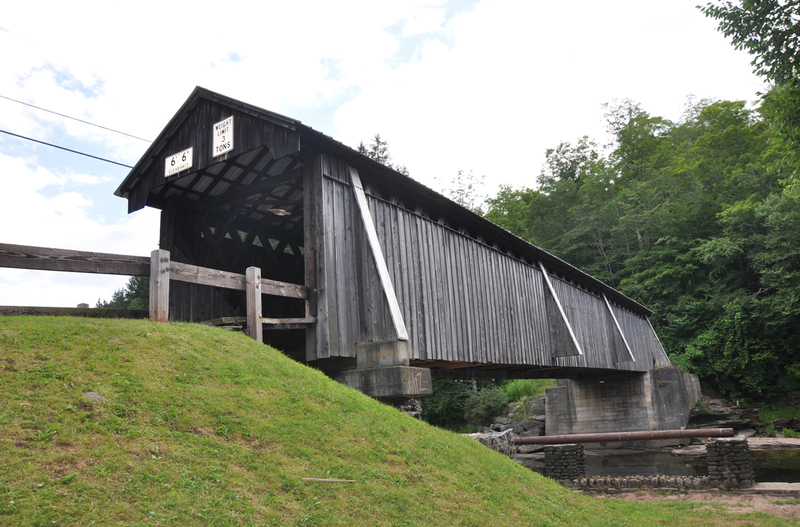 The local bridge committee also feared that designating it as a historic structure would increase the cost of repairing the bridge in a way that couldn’t be offset by the grants available. However, on October 3, 2007, it was finally listed on the State and National Registers of Historic Places. 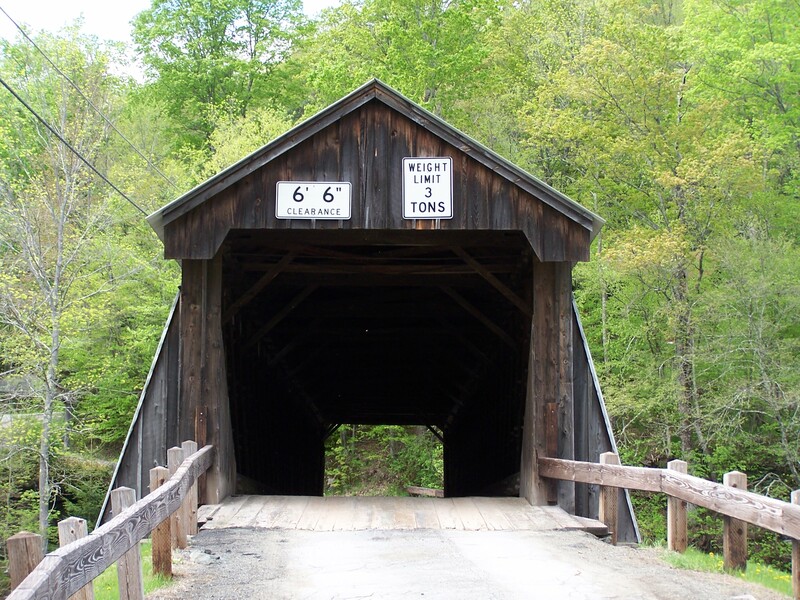 From Livingston Manor, follow the signs to Beaverkill State Park, or go west on old Route 17 for about 1.5 miles. 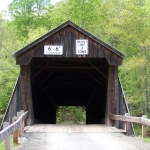 Then go north on County Route 179 (Beaverkill Road) for 5 miles, then left on Beaverkill Camp Road for less than one mile bearing right to the bridge.